One of the newest addition of Adelaide's fine dining. Large portion for its price. 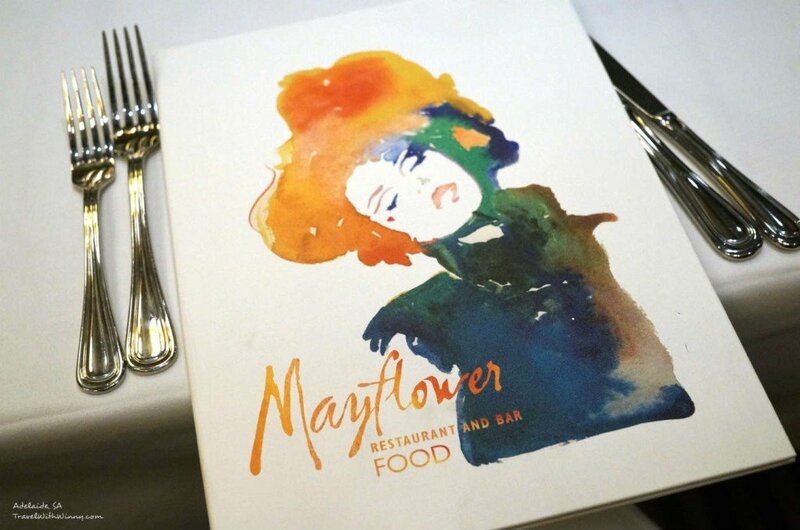 For my 26th birthday, my family and I decided to go Mayfair Hotel’s restaurant Mayflower for celebrations. Mayfair Hotel is located on King William Street between Curry Street and Hindley Street. The parking was difficult but they do have a discount for guests staying at the hotel to park at Wilson car park for AUD$18 for 24hrs. Welcome to one of the newest fine dining establishment in Adelaide. The Restaurant was located at the basement of the hotel and the stairs leading down to the restaurant was quite grand. The design was quite contemporary, with modern artworks everywhere. They definitely paid attention to small details. When we were seated at 7:00pm the restaurant was still rather quite but it soon became busy. The tables were slightly close together, but enough spaced out enough to not feel so cramped. 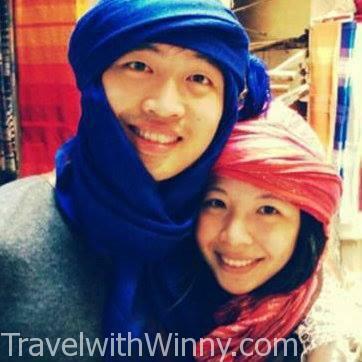 However it can be slightly noisy when the place is filled up. 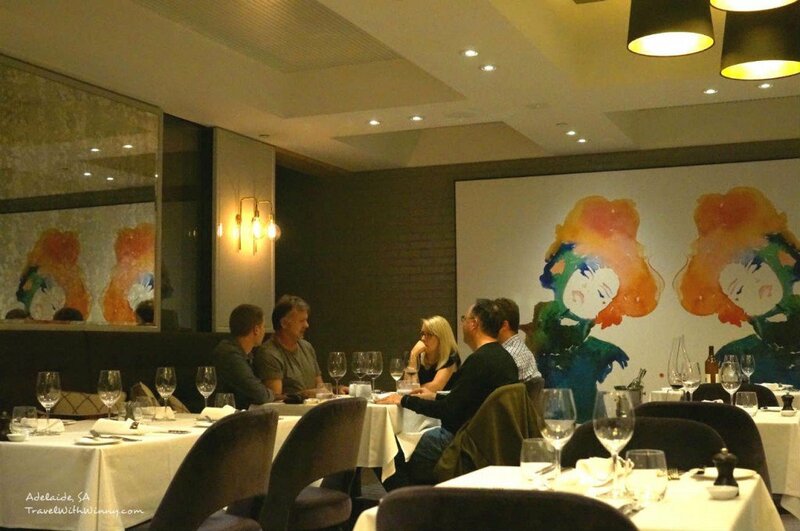 There were many big mirrors on the walls to give the restaurant a more spacious feel as there were no windows being underground. We selected a few entrées to share and a main each person. 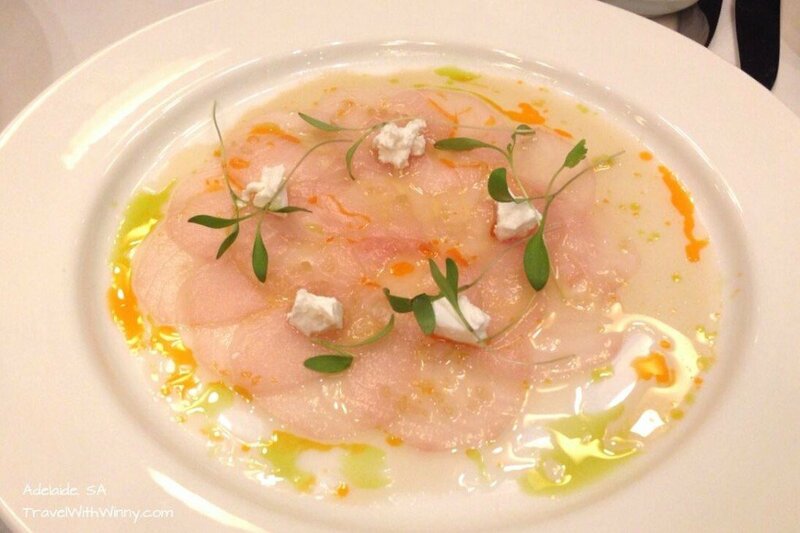 The first of the entrée we shared was King Fish Ceviche, pickled ginger, feta, coriander. The sauce was quite refreshing and it went well with the feta. It was an enjoyable way of eating raw fish. It was quite a good start to our meal. 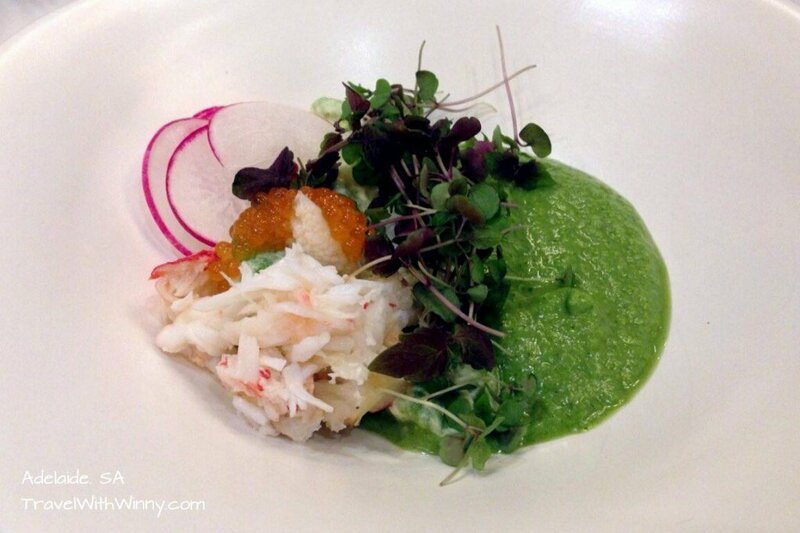 The next was Alaskan King crab Salad with avocado, Gazpacho and crème Fratche. We soon realised that this wasn’t a good dish to share. The Crab was only a minute amount but overall it was quite a nice dish. The crème Frateche goes quite well with the sea food. 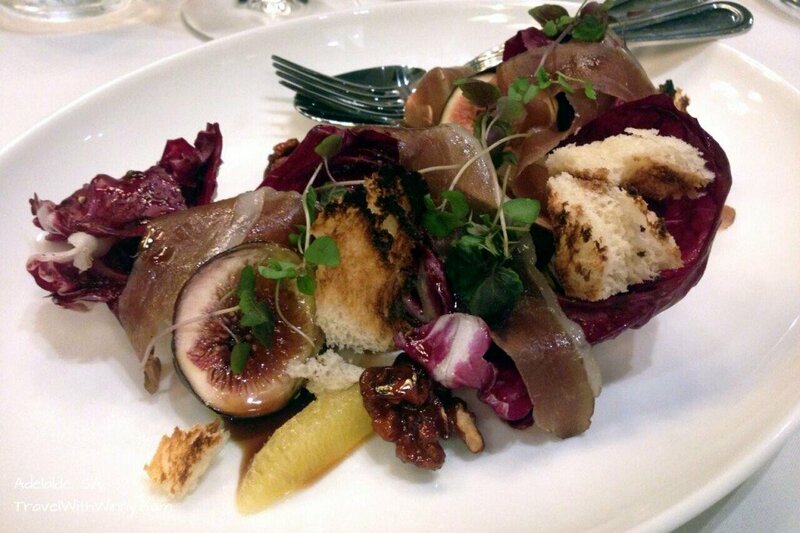 The last entrée was the House cured duck prosciutto balsamic fig. The cured duck prosciutto was very strong in flavour, almost too strong to eat on its own. But when mixed with the fig, bread and lettuce that go with the dish, it was quite pleasant and palatable. We ended up quite enjoying this dish. My main was the Blue Swimmer Crab, Tagliatelle with Chilli, Parsley Butter and Lemon. 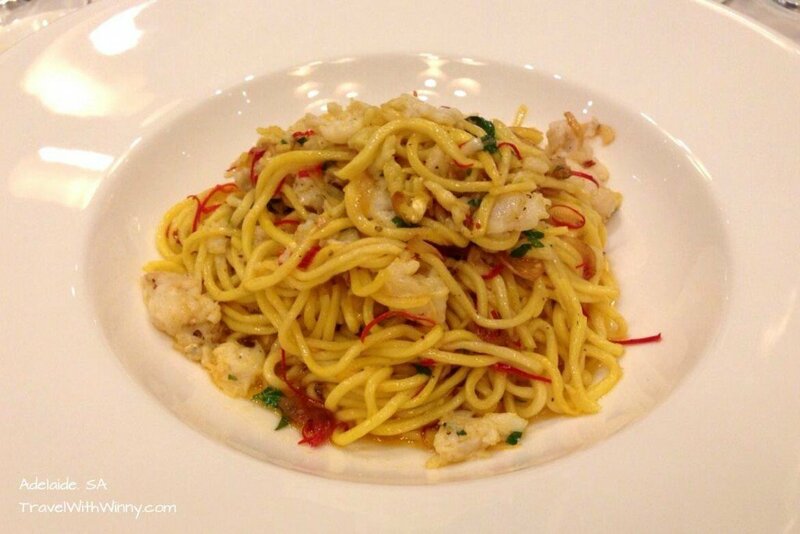 I am a big fan of crab pasta and almost always order it when I have the chance. I felt that this dish was a huge let down for the night. The pasta tasted like Asian three minute noodles. The crab has the crab texture but was quite tasteless. The whole dish was tossed in butter which was the only flavour coming out. Usually I enjoy eating butter but all I could think then was… this dish is very oily. I really believe that they should just take this dish out of the menu. My family were having better luck with their steak, pork and fish dishes. 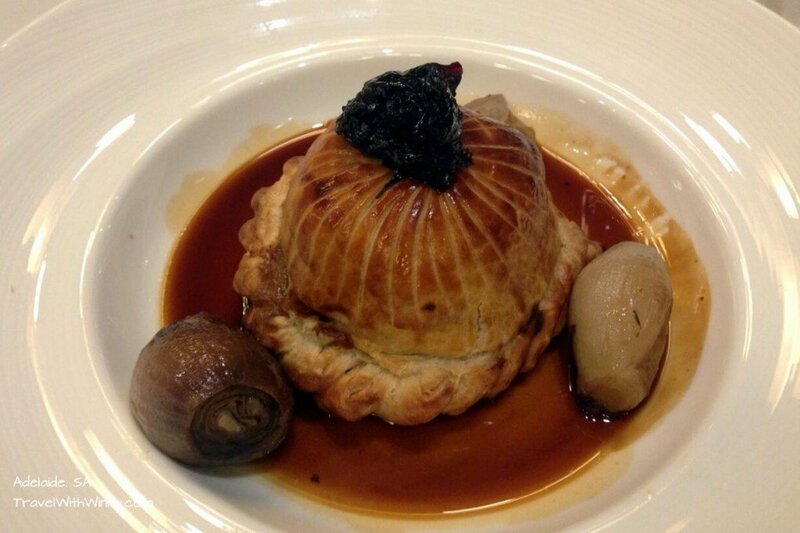 Winny had the Duck and Tangerine Pie. Her pie was a lot pleasant to eat with a lot better flavouring and texture. The dish came with some pickled shallot and they were tasty with her dish. I felt better about this restaurant after having a bit of her dish. Since we were out for celebrations we decided to have some dessert.Especially the way they were tempting us by displayed their dessert on a huge food trolley. 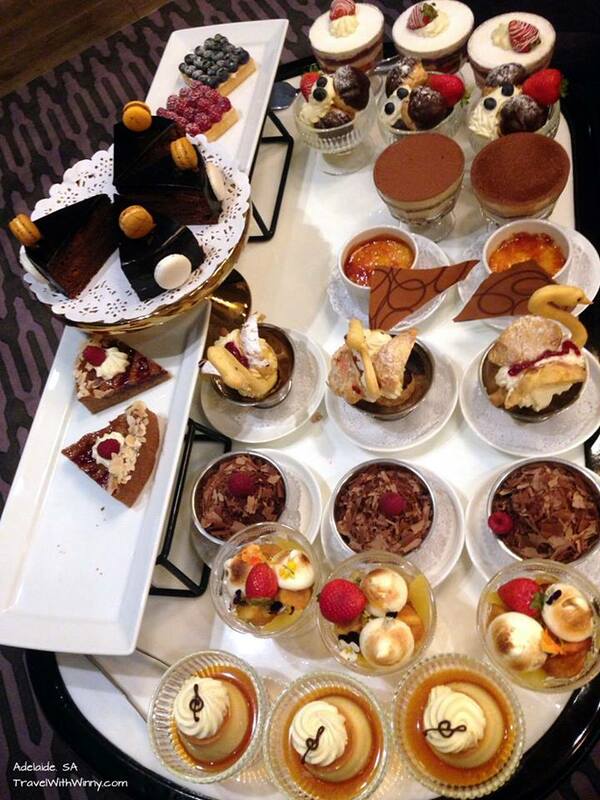 We decided to share the Tiramisu and one with almond cakes, toasted marshmallows with lemon curd. The Tiramisu was nice, soft and slightly alcoholic as expected. The other dish was slightly average but the lemon curd was good enough finish off our meal. I had a great time at Mayflower except for my main. I wouldn’t mind coming here again for a special occasion but would be slightly scared to choose a dish like my Crab pasta.